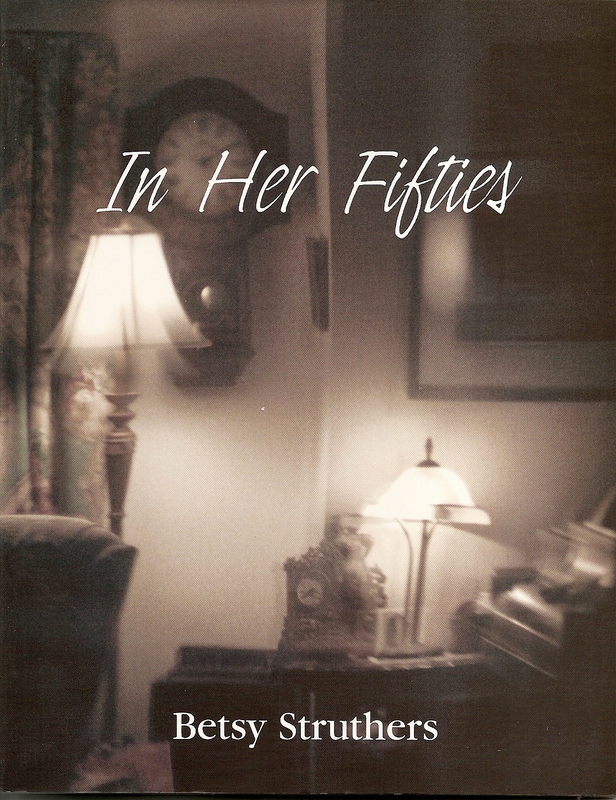 The tenth book by Betsy Struthers, In Her Fifties (published by Black Moss Press) combines poetic textes about a 1950s childhood with lyrical poems about being in one’s 50s at the beginning of a new millennium. In her 50s: The girl grown up is a woman in quiet contemplation in a room full of books – “some / with her name on their thin spines” – ruminating on what it is to be in one’s 50s: long married, caught between caring for her parents and her child, full of memories, suffering bodily changes again, the hot flashes and insomnia of menopause. In spite of the violence around her, on her street and in the world after 9/11, she finds comfort and community in her marriage and with her friends.